Semantic anti-realism aims at developing a theory of meaning in which bivalence - the thesis that every sentence is either true or false - fails. According to Michael Dummett, the prototype of such a theory is the intuitionistic explanation of the meaning of logical constants. For Dummett, Gentzen's proof-theory is the technical tool to develop the intuitionistic prototype into a fully-fledged theory of meaning. In this book, it is argued that a fundamental ingredient of Dummett's anti-realism comes from his interpretation of Frege's philosophy. Dummett's anti-realism is thus a composite picture whose elements stem from very different traditions (intuitionism, Gentzen's formalism and Frege's logicism). This results in certain difficulties, which in particular concern the proper interpretation of the relationship between hypothetical arguments and categorical proofs. 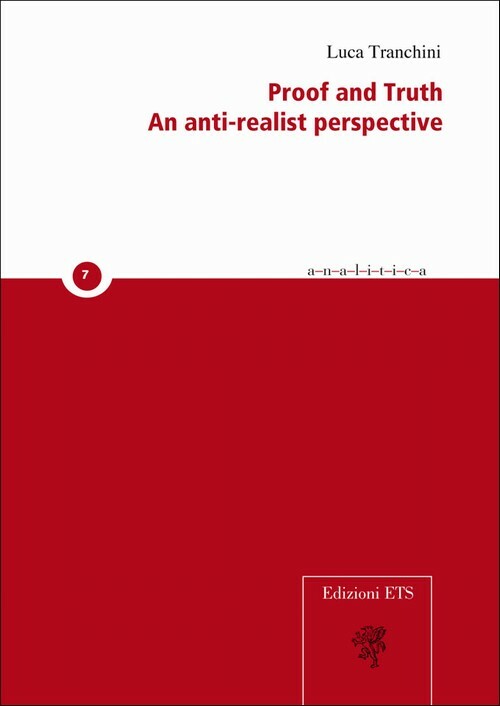 Hints are provided about an alternative way of developing an anti-realist theory of meaning on proof-theoretic basis in which the difficulties encountered by Dummett may be overcome. Luca Tranchini studied philosophy at Siena University and he earned a joint doctoral degree from Siena and Tu_bingen universities. He has a post-doc position in Tu_bingen and teaches both there and in Siena. His work is at the border between the philosophy of language, the philosophy of logic and logic proper, with a special emphasis on proof-theory.